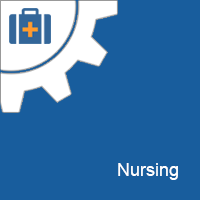 Explore the nursing support page designed to help you find materials related to healthcare in SkillsCommons. Looking for materials in nursing? Browse the healthcare materials submitted to SkillsCommons. Learn about the CSU-MERLOT strategy to develop SkillsCommons.org services to ensure the success of TAACCCT Grantees. Also, meet the CSU-MERLOT team and the organizations within the TAACCCT Learning Network partnering with SkillsCommons to deliver support services for TAACCCT Grantees. Learn how to start contributing to the SkillsCommons repository. Learn more about finding and reusing materials submitted to SkillsCommons and other Open Education Resource websites. Find answers to the most frequently asked questions on SkillsCommons. SkillsCommons provides a number of guidelines, tools and support to assist TAACCCT Grantees in satisfying accessibility standards. Find guides/resources to help TAACCCT Grantees ensure their materials are appropriately attributed using the CC BY license. Learn how to apply innovations to improve materials in SkillsCommons, plus view several examples of these applications.